The School of Music offers the only comprehensive degrees in music education and music performance, from the undergraduate level through doctoral study, in the state of North Carolina. The School of Music offers a Bachelor of Arts degree in Music, and Bachelor of Music degrees in Performance and Music Education. Outstanding facilities, world-class faculty, and numerous ensemble experiences support artistic and academic success. Students enter graduate programs in musicology, ethnomusicology, music theory, music education, composition, and performance. Students regularly receive graduate school fellowships and assistantships from the finest universities in the country. Graduates are employed at colleges, universities, or conservatories including Eastman, McGill University, New England Conservatory, Oberlin College, Berklee College of Music, Florida State University, The University of North Carolina School of the Arts, Duke University, Indiana State University, Kent State, State University of New York system, University of Wisconsin, University of Texas, Wake Forest University, Yale University, and the Boston Conservatory. Graduates are employed by professional companies such as the Metropolitan Opera, the Des Moines Symphony, the Houston Symphony, Idaho Symphony, Oregon Symphony, the Dallas Summer Musicals Orchestra, the Greater Dallas Youth Orchestra, U.S. Army Soldiers Chorus, U.S. Army Band, U.S. Air Force Band, U.S. Navy Band, U.S. Military Academy Band, the Grand Rapids Symphony, the Greensboro Symphony, the Metropolitan Opera of Mexico City, the Utah Opera, the Tri-Cities Opera (Binghamton, N.Y.), the Milwaukee Youth Symphony Orchestra, the Charles Symphony Orchestra, the Long Island Little Orchestra Society, the Minnesota Opera, Pro Arte Chamber Orchestra of Boston, La Folia Chamber Ensemble (North Hollywood, Calif.), Riverside Opera Ensemble (New York), the Sacramento Symphony, Broadway musicals (including Wicked), touring Broadway companies, and the North Carolina Symphony. Clubs and organizations include Music/Performing Arts Student Ambassadors, Mu Phi Epsilon, Phi Mu Alpha, Sigma Alpha Iota, Pi Kappa Lambda (Music Honor Society), student chapters of the National Association for Music Education (Collegiate), the American Choral Directors Association, and the American String Teachers Association. Ensembles include Men’s Glee, Women’s Glee, University Chorale, Chamber Singers, Symphony Orchestra, Sinfonia (String Orchestra), Wind Ensemble, Symphonic Band, University Band, and Jazz Ensembles, Brass Ensembles, Percussion Ensembles, String Ensembles, Woodwind Ensembles, Small Jazz Ensembles/Combos, Opera/Chorus, Pep Band, Present Continuous (Contemporary/New Music Ensemble), and Old Time Ensemble. Internship locations include the North Carolina public schools, the Greensboro Symphony Orchestra, and Kindermusik International. 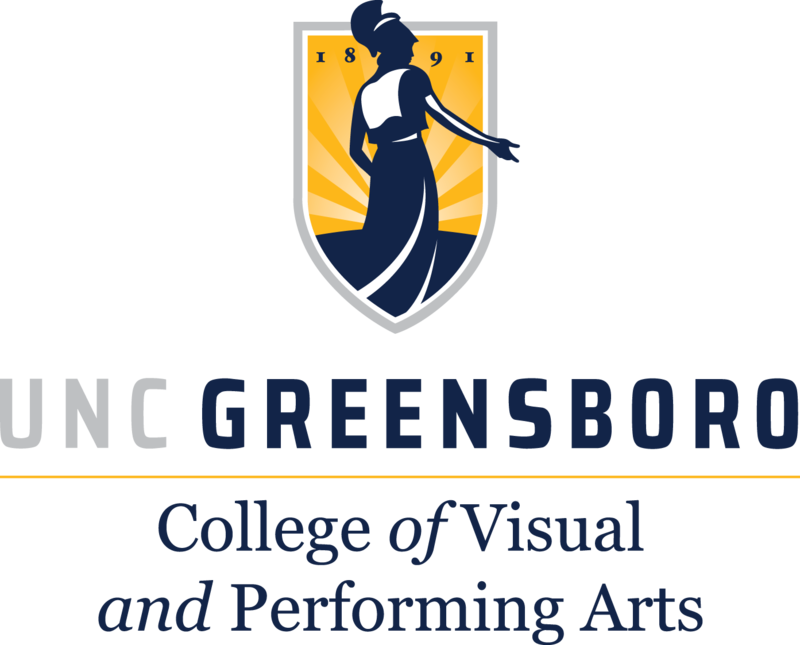 Internship locations include the North Carolina public schools, the Greensboro Symphony Orchestra, and other regional arts associations. Arts-based living community, “Studio 91” in Cone Residence Hall, featuring music, theater, and dance practice rooms; music composition computer lab; drawing lounge; and arts-related programs and events. Graduate programs ranked among the top 30 in the country by US News & World Report. Award-winning, internationally recognized academic faculty. Opera Theatre won National Opera Competition Award nine times in 12 years. Wind Ensemble and Jazz Ensemble were the first college-level ensembles in North Carolina to perform in New York’s Lincoln Center and Carnegie Hall, respectively. University Symphony Orchestra and Jazz Ensemble have performed by invitation on the Millennium Stage at the Kennedy Center in Washington, D.C. The clarinet, horn, trumpet, trombone, percussion, and tuba-euphonium ensembles all have been selected to perform at their respective international conferences in the last decade. The Jazz Ensemble’s annual CD was named among the top 10 college jazz band recordings in the Jazz Educators Journal three years in a row. Undergraduate music education and performance majors must audition for acceptance prior to enrollment. Bachelor of Arts applicants must audition to participate in studio lessons. Visit vpa.uncg.edu/prospective/apply to learn more.